Read about how Laura found fitness after FAI impingement. Be inspired and motivated to get in shape again no matter what your struggle is. Welcome to the second installment of the series “How To Find Fitness After…”. Our guest for this month is Laura Julien from Endure Run Conquer. Hi! My name is Laura, and I live in the Chicago suburbs. By day, I am an attorney and by mornings/nights/weekends I am an avid runner, CrossFitter, and a triathlete wannabe. Aside from all things fitness, I also have two dogs who rule my household. Between running, cycling, and walking the dogs, I try to be outdoors as much as possible! I am also very passionate about coffee. When my first symptoms appeared, I was in the best shape that I had been in for a lonnnng time (in fact, I had finally just qualified for Boston after just missing it by 23 seconds the year before). Training was going great, then all of the sudden my right leg stopped functioning. It got to the point where it would just “shut down” and start dragging behind me (I had no control over the leg “turn over”). It started during the winter months and at first, I thought that it was just muscle tightness. However, as the weather got warmer, the symptoms started getting worse and worse. Eventually, I was diagnosed with Femoroacetabular Impingement (“FAI Impingement”), which basically meant that my hip bone was abnormally shaped and causing damage to the hip joint due to the friction (think square peg round hole). While I had been living with this condition all of my life, it didn’t actually manifest until later. This was not an injury caused by running (although it certainly didn’t stop people from commenting that this was proof of how “bad” running was for me). I tried every kind of treatment (electro-stim, ROLFing, dry needling, active release therapy) and every diagnostic (imaging, blood work) to no avail. Given the fact the I wanted to return to my prior activity level and nothing else was working, I believed surgery would be my best chance at recovery. After nine months of searching for answers with no sign of improvement or relief, I finally went under the knife in September of 2014. How physically active were you before FAI Impingement? Prior to my injury and surgery, I was an avid marathon runner (typically targeting both spring and fall races). I had been running 80+ mile weeks and had even hired a running coach to try to take my training to the next level. Between my diagnosis and surgery, I also picked up cycling (because I needed something to do if I wasn’t allowed to run!). I stopped running about four months before my surgery because it had become so uncomfortable and my gait was breaking down so bad. I continued cycling up until my surgery. How long did it take you to be fully recovered? I don’t know that I will ever be *fully* recovered, in that I am always going to have to be cognizant of my hip and back (training now requires constant monitoring and maintenance treatment). By fall of last year (1.5 years after injury onset) I finally started to have some “normal” runs mixed in with the bad runs. 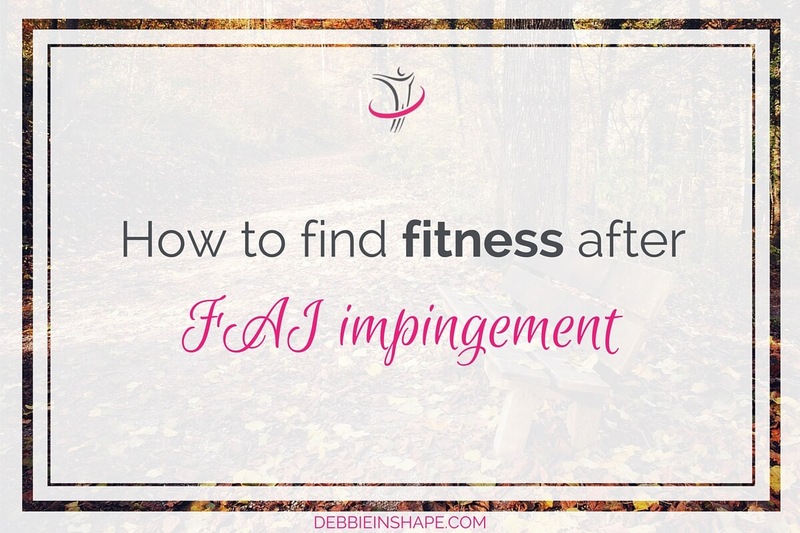 However, what scared me the most was the fact that even though I had the surgery for the FAI impingement, I was still having many of the same symptoms I had before the surgery with regard to my running. I was terrified that the surgery didn’t fix the underlying cause, as it felt like more than just typical “healing pains”. This went on for about a year. After continued searching, I learned that I had back issues (2 degenerated discs) in addition to the hip issues. Once I started treating those as well, I finally started seeing relief. Initially, the doctors were skeptical as to whether I would be able to return to “normal” given the back issues as well. I took my recovery seriously and slowly. Now just over 2 years out from the injury onset, I have finally started to feel “normal” again (with the caveat that I am now hyper-sensitive about any twinges in my body and vigilant about treatment). While there are still some bad days, they are becoming few and far between. During recovery, what activities could/couldn’t you perform? When I first came out of surgery, I had to use a walker just to walk. It was very humbling, as I needed help to do just about everything (including getting dressed and going to the bathroom). After a few days of the walker, I was able to graduate to crutches and a leg brace, which I had to use for the next month. It was not fun to try to navigate the hour long commute on public transportation (both bus and el) to my office in downtown Chicago! At about 4 weeks I started to relearn walking and stairs. At about 12 weeks I started to relearn running. It was months before I regained full functioning of my right leg for certain motions (like swinging my leg over the dog gate) or before I was able to sit/stand for extended periods of time without discomfort. What was the most difficult part of your recovery? Still having symptoms and not knowing what was wrong. 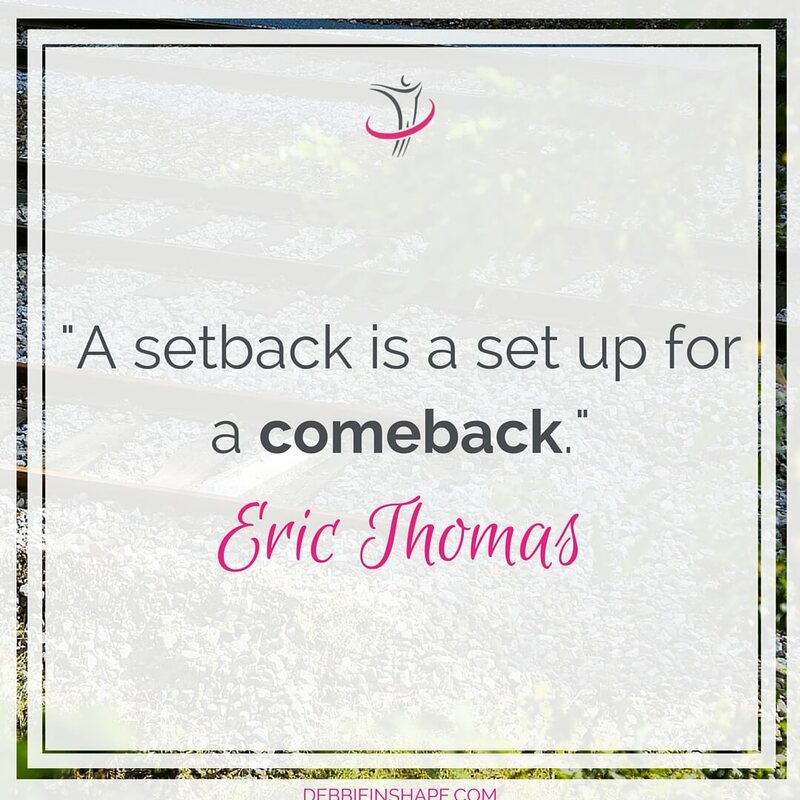 I knew that surgery was going to require time to heal, but as soon as I started running again following surgery I started experiencing the same familiar discomfort. Not knowing what was going on with my body or where to go for answers (and the fear I would never feel “normal” again) was difficult. It was especially hard because most doctors don’t take you seriously if you can perform basic life functions (walking, sitting), regardless of athletics. Another thing that was personally difficult was missing the chance to finally run Boston. It had been such a journey for me to qualify. Registration day happened to fall on the day of my surgery, and my husband literally registered me while I was under the knife. I figured if there was any chance I would be recovered, I didn’t want to miss it. Unfortunately, when April rolled around, there was no way I could have even walk or run the course (and I didn’t want to risk setting back the recovery process). So I decided that Boston would have to wait until my body was ready. What treatment(s) did you follow to get back on track? Following surgery, I went to physical therapy sessions 2-3 times a week. Eventually they “graduated me” because I could engage in basic life functions but I still had no control over my right leg when I tried to run. The search for answers started again, and I saw multiple physicians and had additional MRIs and a nerve conduction study. I also started seeking chiropractic treatment from a new provider (with therapy to treat the adhesions that had built up) which finally started bringing relief. 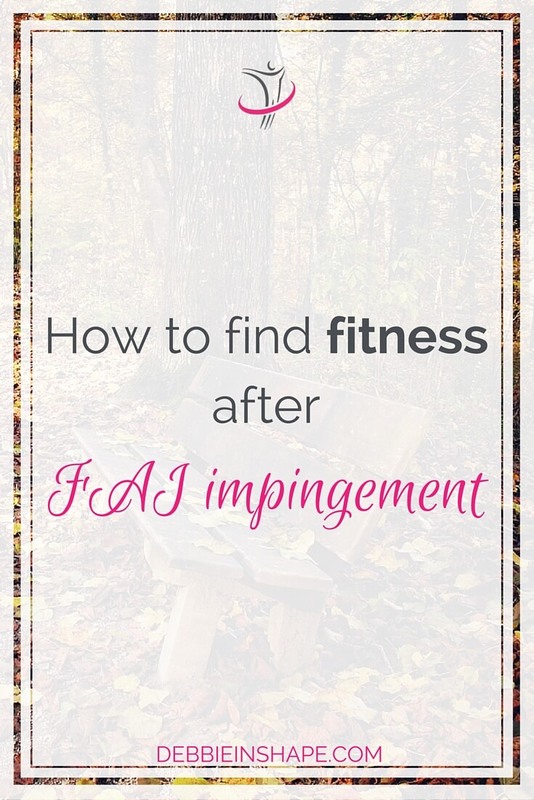 What are three tips you’d give to someone to find fitness after FAI impingement? Don’t let other people tell you that you are “better” when you don’t feel better. You know your body. Be diligent in finding a provider that you trust who shares your goals. The physical therapy is daunting. Just do it. All of it. Put in the time up front and don’t take shortcuts. Yet, we cannot dwell in these dark places. Have faith in your recovery and you’re half way there. For this blog series, I chose the interview format because, in the next months, I’ll be sharing the stories and experiences of other athletes. What we all have in common is that we come from being very active to having to lie down for longer than expect to recover from injuries or surgeries. Our objective is to connect with others who have been through similar situations (or are still struggling). We ourselves had to learn how to start from scratch and overcome different challenges. We want to inspire, motivate, and help others through our own experiences. Would you like to join the “Find Fitness After…” project? Are you (or do you know) an athlete who went through a long period of recovery after a medical condition, surgery or injury (non-related to any physical activity)? If yes, please drop me a line at debbie@debbieinshape.com with subject RECOVERY INTERVIEW. I’d love to hear, and share your story! NOTE: Please feel free to ask questions, but keep in mind that neither the participants or I am doctors or health care providers. We’re sharing information and tips about our specific cases. Although the same practices may also apply to your situation, please consult a professional before doing anything that may harm your wellness.